Anthro major Daliyah Tang ’18 won a grant from the Social Justice Research and Education Fund to study federal Indian policy at the Northern Cheyenne reservation in Montana. She is an enrolled member of the tribe. Studying tribal sovereignty among the Northern Cheyenne. The symbology of Afrofuturist art. Providing access to healthcare in Tanzania. These are just a few of the projects that Reed students will undertake this summer thanks to the Social Justice Research and Education Fund, a new initiative sponsored by Reed’s Office for Institutional Diversity and the Center for Life Beyond Reed. The fund was made possible by generous donations from Kathy and Alex Martinez ’73 and The Dudley T. Dougherty Foundation, and came in response to demands from Reedies Against Racism, who seek to make Reed a more inclusive and welcoming environment for people of color. The fund supports any type of summer internship opportunity on or off campus: students can work on-campus in projects guided by faculty or staff or work off-campus in the public sector, private sector, not-for-profit, business, entrepreneurial, or other unpaid summer internship. The fund encourages applications from students from historically underrepresented or marginalized identities or backgrounds. 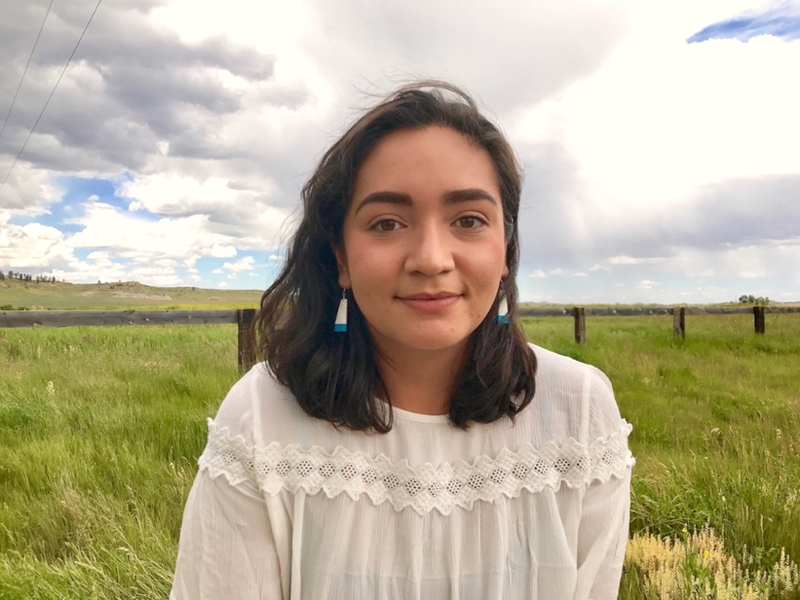 Daliyah Tang ’18 and Prof. Miishen Carpentier [anthro] will do a 10-week research project on United States federal Indian policy to be undertaken at the Northern Cheyenne Reservation in Montana. This research project will address questions about the limitations of tribal jurisdiction and sovereignty imposed by United States federal Indian policy regarding methamphetamine criminalization (this work dovetails with Prof. Carpentier’s work on sovereignty and jurisprudence in American Indian Studies). Daliyah, who is an enrolled member of the Northern Cheyenne tribe, will be working as a volunteer in tribal government at the Northern Cheyenne reservation and six other Montana Indian reservations. She will conduct archival research using tribal records and legal documents and will create an extensive bibliography as well as a written report on the research findings. Bio/psych major Crystal McCullough ’19 will do a summer internship with Planned Parenthood and MedLife working to deliver health services and knowledge to different communities, particularly vulnerable and underserved populations. Through the MedLife service trip, Crystal will have the opportunity to work with medical professionals and patients in Tanzania, which will allow Crystal to gain an international perspective on inequities in global health. After the MedLife service trip, Crystal will work with Planned Parenthood as a community educator and outreach coordinator. Prof. Kris Cohen [art history] and comp lit major Jeri Brand ’19 will undertake a research project on the symbology of Afrofuturist visual art and film. Afrofuturist art constructs a vision of the future that is unique in two ways: in its redeployment of ancient African and Middle Eastern symbols and in its explicit rejection of scientific logics and histories rife with antiblackness. Jeri will write an essay examining the role of culturally specific symbols in shaping Afrofuturists’ orientations toward, and ideals for, the future. The essay will center on Afrofuturism’s deployment of cyclical temporality and preservation of traditional culture as clues to the structures of utopian societies. The extended essay will be used as a resource for new or revised syllabi and to inform Jeri’s future thesis work. 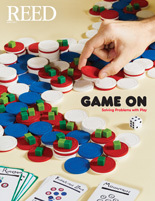 Other projects range from reducing food insecurity among Reed students to developing a user-friendly coding environment designed for at-risk urban youth. Students from Reedies Against Racism have organized several protests in the past year, including a sit-in in the admission office, intended to highlight the challenges that black students face on campus, and demand changes that will make Reed a better place for all students of color. Interested in supporting this initiative? Please contact Reed’s office of college relations.